With the hustle bustle of back-to-school and a new season, take a second to take a deep breath in and a long stretch and embrace National Yoga Month. Stonehenge, a real estate company in the city, and National Yoga Month have partnered to offer free yoga classes and events throughout NYC. In addition, numerous studios are offering one free week to new students. Yoga for the Fallen: Join in a 90-minute Slow Flow Vinyasa class in honor of New York City firefighters. Take the time to reflect on the acts of these courageous heroes when our city was in its greatest need. The yoga practice will be led by an instructor from Reflections Studio and will feature live music from the September Concert Series. The event is free of charge, and any donations collected will benefit the NYC Hell’s Kitchen Engine 54, Ladder Company 4. Bring your own mat. Family Yoga Day: Enjoy a free family-friendly yoga festival where kids and adults can all enjoy yoga. There will be classes, music, and children’s activities, all with a dose of fun for all. The festival will benefit Bent on Learning, an organization offering yoga to students in grades K-12 in NYC schools. Bring your own mat. The Time for Yoga: Explore one of eleven Stonehenge apartments as you enjoy a free yoga class led by a certified instructor. Whether you’re uptown or downtown, there’s a location that will meet your needs. After your class, join other yogis at the Time for Yoga After-Party at the Olivia Rooftop at 9pm. To enjoy one free week of yoga, sign up at http://yogamonth.org/yogamonthcard/. The card can be redeemed once at participating studios from September 1 until October 30 for students who are new to a particular studio. Participating studios include Yogaworks NYC (various locations), exhale mind body spa, Namaste Yoga Center, East Yoga Center and many others. Sportswear favorite Lululemon athleticais offering complimentary classes throughout the month. Enjoy an outdoor yoga session in Bryant Park on Tuesdays (10am-11am) and Thursdays (6-7pm). All classes will be led by top NYC instructors and are open level. Change up the outdoors scenery and head to Prospect Park in Brooklyn for additional complimentary classes on Thursday nights at 7pm. Kids can also take part in the fun at Lil Yogi’s at 1928 Broadway, free, on Saturday mornings from 8:30am-9:15am. 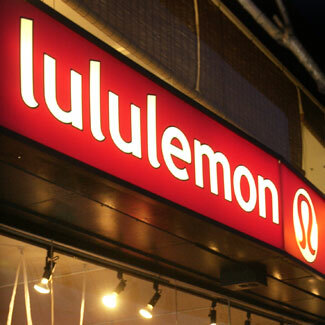 For more information on the classes, visit http://www.lululemon.com/newyork/newyork/events and select your location. This entry was posted on Thursday, September 8th, 2011 at 10:34 pm	and is filed under Stuff to Do. You can follow any responses to this entry through the RSS 2.0 feed. You can leave a response, or trackback from your own site. Loving the article and even more importantly, Yoga. Sometimes it feels Can not have enough!